The question “What is wind Energy” is an good one, not at least because in 2009 already 2% of the global energy demand were produced with Wind Energy. Wind Energy in the end is nothing else than Solar Energy. 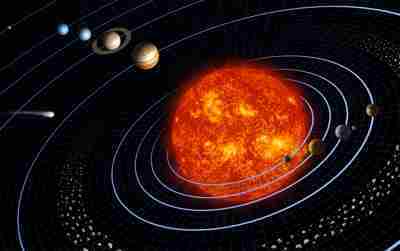 The sun heats up the earth, more around the equator and less on the poles. Also water and land store the sun’s energy (heat) differently and cool down differently. So these differences in heat accumulation worldwide makes the air have temperature differences, warm air climbs, cool air drops and so a giant motor called atmosphere or weather is running all the time. For sure this a very simplifies description but you get the picture. So the sun does not only provide us with photons (light) and rays (like ultraviolet light) to support biological processes. While until recently we had to burn biological products like wood or oil (caught sunlight) to generate energy, today we can also today use the sun’s energy to make electricity (with solar panels or wind farms). 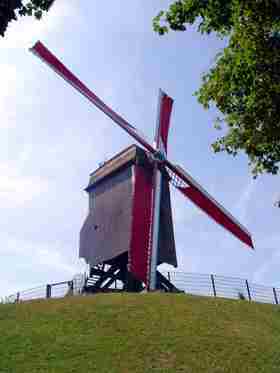 Actually the ancient wind mills were a way of directly using wind energy, as sailing ships were and still are. But this energy can only be used were wind occurs, it cannot be used elsewhere and it cannot be stored. With electricity this is – at least theoretically – possible. A really incredible amount of energy. And remember that only a tiny, tiny portion of what the sun emits reaches the earth at all. The rest is radiated 360° into space. This is more solar power coming to earth per hour than humankind uses in a whole year! One year of solar energy brings the earth more energy than we will ever be able to use from conventional energy sources like oil, coal or nuclear. So Wind Energy is available in unbelievable amounts. But how to use it? Our ancestors built mills and sailing ships. Without the application of Wind Energyy America would probably be still undiscovered by Europeans. Even today a German company developed a sail for big cargo ships or tankers to save fossil fuels and money. But today with the installation of electricity grids wind energy can be used independently from where the windy areas are. Windmills and Windfarms create electricity from the Wind Energy and feed it into the central power grid. So a stormy region can produce energy for an area with nearly no wind.